Logging out and into your Momentum account is done through Momentum's Settings ⚙️. To log in to your Momentum account, click the Settings ⚙️ icon at the bottom left corner of Momentum, click Log In, and then when asked, type in and enter the Email and Password that you used to create a Momentum account with. Forget your Momentum account password? Seeing the 'Hello, what's your name?' screen? The "Hello, what's your name?" 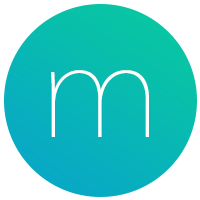 screen is the start of Momentum's account creation process, which also works as a login form if you already have a Momentum account. After typing/entering your name in the space provided, Momentum will ask for your email and then the password you chose for your Momentum account. When asked for your Name, click just beneath 'Hello, what's your name? ', type in your Name, and then press the enter/return ↵ key on your keyboard. When asked for your Email, type the email of your existing Momentum account and then press the enter/return↵ key on your keyboard. When asked for your Password, type the password that you created when you first signed up to Momentum and then press the enter/return ↵ key on your keyboard.